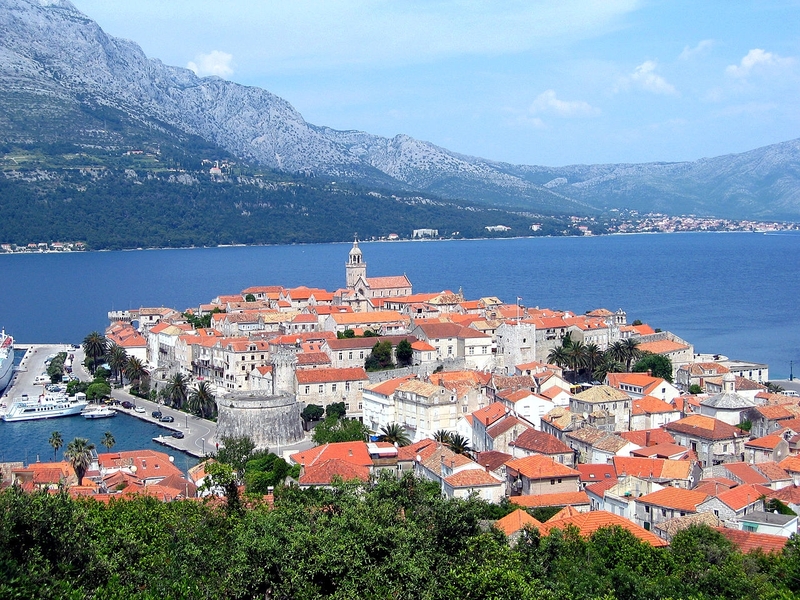 Korcula is a Croatian island on the Adriatic Sea beside the Dalmatian coast. It is the sixth largest Adriatic island. It has developed agriculture, fishing, shipbuilding and tourism. The island belongs to the County of Dubrovnik-Neretva, covering an area of ​​279,03 km2 (46,8 km long, 5,3-7,8 km wide) and 16,000 inhabitants. 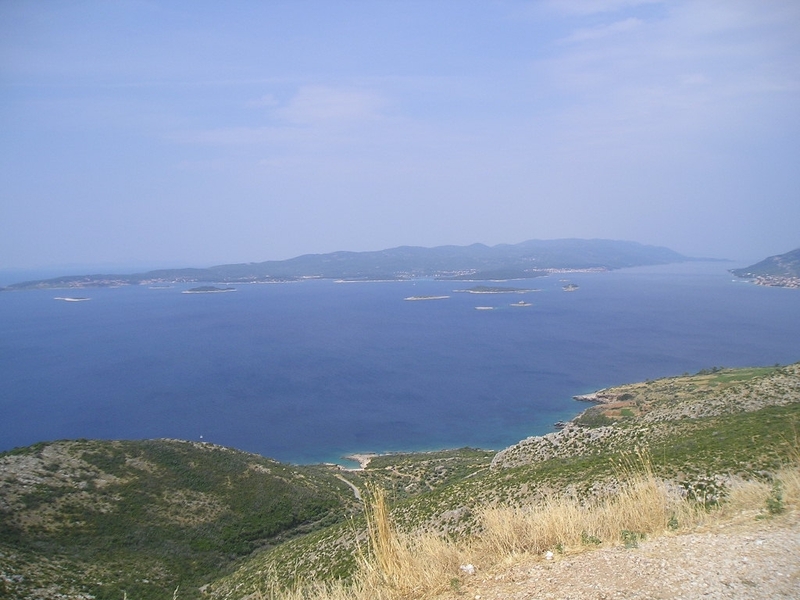 The highest hills are Klupca with 568 m and Kom with 508 m. The climate is Mediterranean (mild); The average temperature in January was 9.8 ° C, and in July 26.9 ° C. The average annual rainfall is 1100 mm, and the island is covered with Mediterranean flora, sometimes with pine forests. It is built on dolomites, ie limestone. One of the most developed fields is Blatsko polje, which is also the largest. The island was inhabited since prehistoric times. The oldest finds are of ancient stone age, in Vela cave. The three largest places on Korcula are the capital - Korcula, Blato in the interior and the small port Vela Luka on the west of the island. Other places and settlements are Brna, Lumbarda, Pupnat, Kneze, Racisce, Zrnovo, Prigradica, Prizba, Grscica,Cara, Zavalatica, Babina, Smokvica. 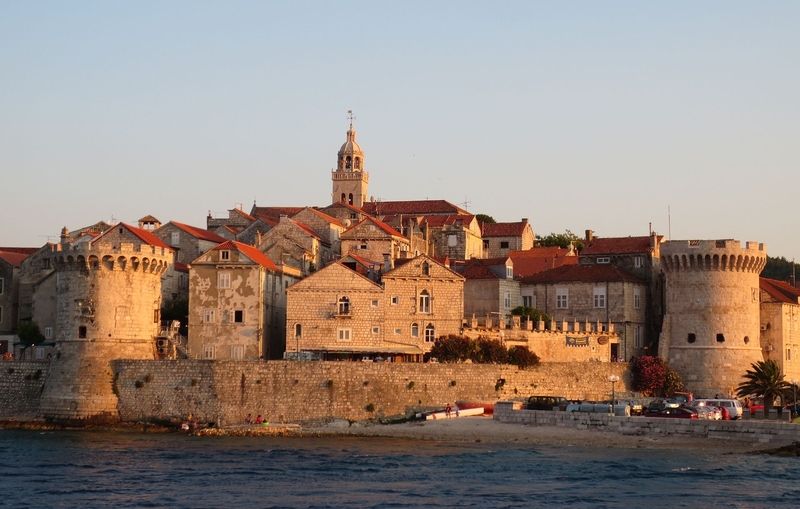 In the town of Korcula there is a house believed to be a birthplace of Marko Polo. There is a doubt that he was born on Korcula or perhaps somewhere else.